Leading experts in the fields of actuarial science, finance and risk management are invited to present their current research. When: January 22, 2019, 3-4pm. Upon completing my studies, I worked for Fortis Securities and CDC IXIS CAPITAL MARKETS. It wasn’t long before I realised that my true vocation lay in academia, teaching rather than working in corporate. Accordingly, I enrolled in a PhD program in Actuarial Mathematics at Laval University in Canada. I completed this in November 2010 and subsequently spent one year as a visiting researcher at Emory University in the United States of America before relocating to South Africa to take up a position as a lecturer at the University of the Witwatersrand in South Africa, teaching stochastic processes and risk theory to third year and honours actuarial students. 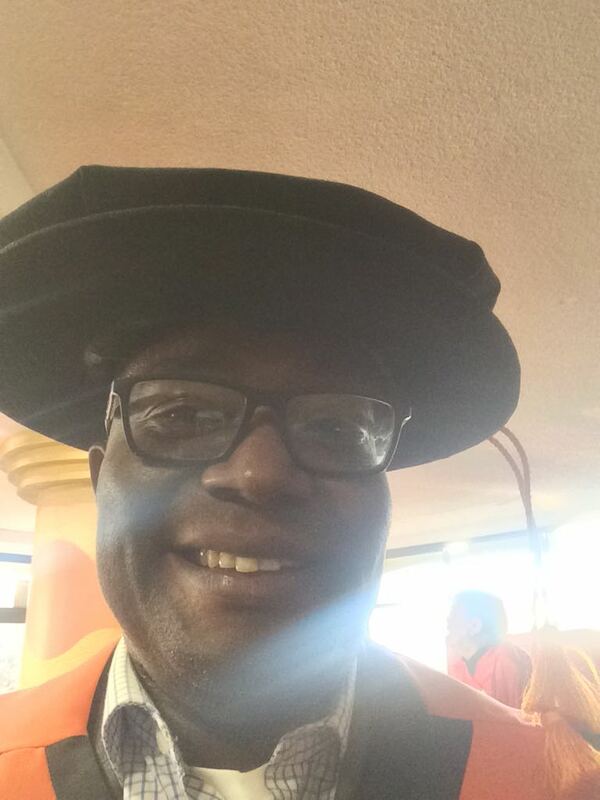 I left the University of the Witwatersrand for the University of Johannesburg in April 2014. I became senior lecturer in 2014 and was promoted to associate professor in October 2017. I currently teach stochastic processes and risk theory. is one of the crucial assumptions. However, in reality, one could easily identify exceptions to thisassumption. For instance, in car insurance, if there has been a long waiting time before a claim,the next inter-arrival time can also be long, either, because the policyholders are potentiallygood drivers; or policyholders only start to use their cars a long time after purchasing them,then claims, would suddenly arrive more frequently after a long silence. Hence, a shorter interval before the next claim can be expected. Therefore, a natural way to relax this assumptionis to introduce a dependence structure in-between inter-arrival time, and derive a recursiveformula for the higher moments of the discounted aggregate renewal claims under these relaxedconditions. When: March 5, 2019, 3-4pm. Armstrong is a longtime CAS volunteer, having served multiple terms on examination and professional education committees over the last 20 years. Armstrong also recently served on the CAS Board of Directors from 2011-2014 and on the CAS Executive Council as vice president-admissions from 2014-2017. During his terms as CAS president-elect and president, Armstrong plans to focus on collaboration with other actuarial and industry associations, working to address issues such as diversity, education, and the future of the actuarial profession. When: April 16, 2019, 3-4pm. Title: An Integrated Approach to Measuring Asset and Liability Risks in Financial Institutions. George Zanjani is Professor of Finance and the Frank Park Samford Chair of Insurance at the University of Alabama. Previously, he served as the inaugural holder of the AAMGA Distinguished Chair in Risk Management and Insurance and an associate professor in the RMI Department of Georgia State University. 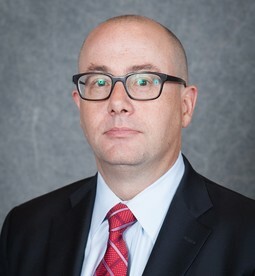 Prior to his career in academia, he served as an economist at the Federal Reserve Bank of New York (2000–2008) specializing in policy work relating to insurance issues in the broader financial system. During his tenure at the Bank, he served on working groups formed by the Committee on the Global Financial System and the Presidential Working Group on Financial Markets. He also worked as an actuary at Fireman’s Fund Insurance Companies (1990–1994), focusing on commercial insurance pricing and heading the firm’s workers’ compensation actuarial unit in 1994. Risk measurement models for ﬁnancial institutions typically focus on the net portfolio position and thus ignore distinctions between 1) assets and liabilities and 2) uncollateralized and collateralized liabilities. However, these distinctions are economically important. Liability risks affect the total amount of claims on the institution, while asset risks affect the amount available for claimants. Collateralization also affects the amounts recovered by different classes of claimants. We analyze a model of a ﬁnancial institution with risky assets and liabilities, with potentially varying levels of collateralization across liabilities, showing that correct economic risk capital allocation requires complete segregation of asset, uncollateralized liability, and collateralized liability risks, with different risk measures for each. Our numerical analyses suggest that the conventional approach frequently yields over-investment in risky assets. 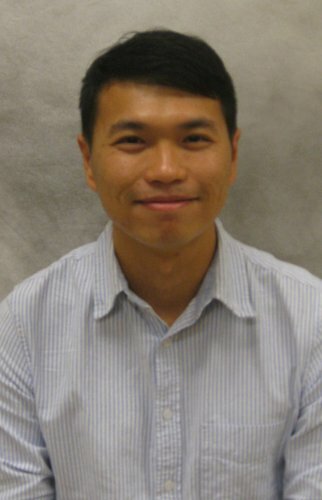 Jianxi Su is an assistant professor at the Department of Statistics at Purdue University. He is also one of the Associate Directors of the Actuarial Science Program at Purdue. Prior to joining Purdue in 2016, he completed a PhD at York University under the supervision of Edward Furman (2012-2015). Upon graduation, he held a Post-doctoral position at the Schulich School of Business for six months in 2016. He obtained the Associate of the Canadian Institute of Actuaries (ACIA) in 2015 and the Fellow of the Society of Actuaries (FSA) in 2017. His research expertise is in dependence modelling, risk management, and pricing. During his PhD candidature, he also worked as a research associate at the Model Validation and ORSA Implementation team of Sun Life Financial (Toronto office). Affiliation: University of Iowa, Iowa, US. Title: A Structural Model of Cyber Risk Aggregate Loss Distribution of Medium Size Enterprises. Petar Jevtic is assistant professor in the school of Mathematical and Statistical Sciences of Arizona State University. He develops and uses tools from actuarial science and mathematical finance to effectively assess and manage risks in insurance and finance. Jevtic's research involves, in particular, modeling human mortality in a dynamic context, at the cohort level, the population level, and the multi-population level. Based on those advanced stochastic models, Jevtic develops new tools for mitigation of systemic mortality risk, both by natural hedging and by creating and pricing derivative products to transfer mortality risk to capital markets. He works on the topics of health and property and casualty insurance, using predictive analytics tools and spatial modeling. In a corporate and/or government domain, a cyber risk can be seen as a risk of a financial loss due to a breach of an institution’s IT infrastructure by unauthorized parties and the exploitation, taking possession of, or disclosure of data assets, thus creating financial and/or reputational damage. In this paper, as a primary contribution to the existing body of actuarial literature, we propose a structural model of aggregate loss distribution for the cyber risk of medium-size enterprise. Up to our knowledge, no theoretical model of aggregate loss distribution for cyber risk exists in this setting. To achieve this, we contextualize the problem in the probabilistic graph-theoretical framework. Here, we assume the IT network topology to be represented by an appropriate (random) graph of finite (or infinite) size. We allow for heterogeneous node vulnerability and loss topology, and discuss the characteristic examples. Contagion is modelled using the framework of percolation theory. Finally, instructive numerical examples are provided. Affiliation: University of Antwerp, Antwerp, Belgium. Title: Implications of Time-Varying War Risk. Gertjan Verdickt is a PhD Student at the University of Antwerp since January 2016. He was a visiting student at Stanford GSB and Mendoza College of Business in 2018. His research is focused on the predictability of returns and dividend growth rates, combined with financial history. Prior to his current position, Gertjan held several research positions at KBC Securities, KBC Asset Management, and Candriam Investor Group. Jan Annaert and Marc Deloof serve as the supervisors of his research project. This article is dedicated to a study on the relation between war risks and financial market fluctuations. I address this issue through the creating of a war risk metric from the digital archives of The Economist. Each month, I count the number of articles that discuss a potential military conflict. All relevant articles must mention the combination of “military” or “war” and 10 search terms that comment on the rising Threat or Act of war. Overall, I use the build-up to the Great War as a natural experiment and focus on securities listed on the Brussels Stock Exchange (BSE). To make this measure a good proxy for war risk, relevant articles must mention at least one country with a great number of stock listings on the BSE or be a key trade partner of Belgium. The appeal of this method is twofold. First, newspaper archives are detailed source of narrative history that can help us to understand our recent financial history. Second, using such a metric allows me to continuously track war risk, which makes war risk quantifiable. The key findings are summarized as follows. First, I confirm the negative relationship between war risks and returns. Not only is there a significant contemporaneous impact, an increase in WRM also leads to statistically significant negative future returns up to 12 months for countries that are mentioned in The Economist. Countries that were not mentioned in relevant articles, such as Brazil or Argentina, do not show a predictive relationship between WRM and expected returns. In sum, I conclude that war risk is not a systemic risk, but affects all countries individually, which is a new finding. Second, I find a negative relationship between war risks and future IPOs. An increase in WRM leads to a significant decrease in the number of IPOs then up to 13 months ahead. This conclusion holds for both stock and bond IPOs, and is present for the countries that see an increase in the mention of the number of war-related news items. Even when controlling for other factors, the significant negative relation holds. I conclude that the potential threat of military conflicts influences a firm’s decision to go public. In related studies, Berkman et al. (2011) use changes in disaster probability as their main variable. They show that an increase in disaster probability leads to significant negative stock returns. Their approach differs from mine in three ways. First, I do not target political crises which have a potential to turn into military conflicts. However, I focus on the potential of military conflicts directly. Second, I do not target increases in disaster risk through a database of crises constructed with hindsight, but focus on what is perceived by investors through the magazine coverage. Finally, I introduce bond return data for a more comprehensive picture of the relationship between war risk and financial markets. This article provides an empirical evidence for theoretical disaster models (Barro, 2006; Gabaix, 2012). Affiliation: University of Connecticut, Connecticut, US. Emiliano (Emil) A. Valdez, Ph.D., FSA, is a Professor of Actuarial Science in the Department of Mathematics at the University of Connecticut, USA. 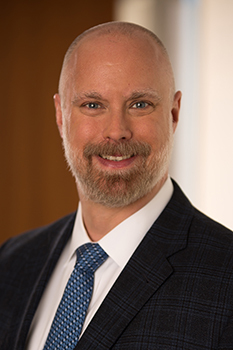 He is a Fellow of the Society of Actuaries, holds a Ph.D. from the University of Wisconsin in Madison, and is also the interim director of the graduate programs in actuarial science at Connecticut. His academic experience includes several years of teaching and conducting research in actuarial science in three different continents: North America, Australia and Asia. His previous academic posts include working for the Nanyang Business School in Singapore and for the University of New South Wales in Sydney, Australia. From 2013 to 2015, he was the Director of the actuarial science program at Michigan State University. He has been awarded the Edward A. Lew Award, the Halmstad Memorial Prize, and recently in 2010, the Charles A. Hachemeister Prize, in recognition for his significant contributions to the actuarial literature. His current research interest includes copula models and dependencies, managing post-retirement assets, and risk measures and capital requirements related to enterprise risk management. In addition, he has several years of industry experience working as an actuary for Connecticut Mutual in Hartford and held summer actuarial positions at Price Waterhouse. The generalized linear model (GLM) is a well developed statistical model widely used in actuarial practice for insurance ratemaking, risk classication, and even reserving. Recently, there has been an explosion of data mining techniques to rene statistical models for better variable selection procedure and for improved prediction accuracy. Such techniques include the increased interest in regularization techniques, or penalized likelihood, to achieve these goals. optimal λ. We calibrated our proposed model using an auto insurance dataset from a Singapore insurance company where we have observed claim counts and amounts from a portfolio of policyholders. This is joint work with Himchan Jeong of the University of Connecticut. Affiliation: Columbia University, New York, US. Title: Actuarial Science Program at Columbia University. Lina Xu is Academic Director of Columbia University’s M.S. in Actuarial Science program. A Fellow of the Society of Actuaries (SOA) with a Ph.D. in Applied Mathematics and Computational Science, she has taught mathematics, statistics, actuarial science, and actuarial exam seminars for over 20 years. Xu has extensive insurance industry experience in valuation, pricing, modeling, and enterprise risk management, and has been practicing in reinsurance, insurance, and consulting for over 16 years. She is actively involved with the SOA and served as council member of its international section for the 2010-2013 term. She was a project director for Actuaries Without Borders, a special interest section of the International Actuarial Association that helps provide temporary actuarial services in areas of the world that lack such resources. Xu’s industry affiliations extend to many other actuarial associations, including the Chinese Association of Actuaries, the Institute of Actuaries of Japan, the Institute of Actuaries of Korea, and the Actuarial Society of Hong Kong. Affiliation: Arizona State University, Arizona, US. This three-strand talk synthesizes various recent advances in the design of optimal reinsurance in a modern risk management framework. In the first strand, we provide full characterizations of the collection of risk-minimizing optimal reinsurance treaties and put the underlying cost-benefit considerations into perspective. Unlike conventional studies, our results address the issue of (non-)uniqueness of optimal solutions and indicate that ceded loss functions beyond the traditional insurance layers can be optimal in some cases. In the second strand, we develop, on the basis of the no-constraint framework in the first strand, a variation of the Neyman–Pearson Lemma in statistical hypothesis testing theory to solve a wide class of constrained optimal reinsurance problems expeditiously. To illustrate the versatility and superiority of the proposed Neyman–Pearson formulation, we provide complete and explicit solutions of several specific constrained optimal reinsurance problems, many of which were only partially solved in the literature by substantially more difficult means and under extraneous technical assumptions. In the last strand, we describe the set of Pareto-optimal reinsurance policies analytically and visualize the insurer-reinsurer trade-off structure geometrically. The resulting solutions not only cast light on the structure of the Pareto-optimal contracts, but also allow us to portray the resulting insurer-reinsurer Pareto frontier graphically. Their connections to the Neyman–Pearson formulation in the second strand are also explained. Title: Affordable and Adequate Annuities with Stable Payouts: Fantasy or Reality? Abstract: This paper introduces a class of investment-linked annuities that extends existing annuities by allowing portfolio shocks to be gradually absorbed into the annuity payouts. Consequently, our new class enables insurers to offer an affordable and adequate annuity with a stable payout stream. We show how to price and adequately hedge the annuity payouts in a general financial environment. In particular, our model accounts for various stylized facts of stock returns such as asymmetry and heavy-tailedness. Furthermore, the generality of our framework makes it possible to explore the impact of a parameter misspecification on the annuity price and the hedging performance. Affiliation: Cass Business School, London, UK. Abstract: The optimal reinsurance contract has been a topic of great interest for many decades in the insurance literature. The primary insurer aims to share the risk with one or many other reinsurers for a premium. Finding the optimal contract has been a topic for a long time in insurance economics literature. Depending on how the problem is put, the solutions are different, but layer reinsurance appears to be optimal contract, which confirms the existing empirical evidence. In this talk, we will focus on finding the optimal contract from the perspective of primary reinsurer or from the perspective of all insurers. Interestingly, all solutions are optimal Pareto when all risk preferences have the translation invariance property. The robustness of the reinsurance contract is also discussed. Finally, we will show that introducing of some constraints, the optimal contract is no longer a layer reinsurance and instead, a proportional reinsurance contract appears to be the optimal one.